Jizo Bodhisattva (Sanskrit = Ksitigarbha); one of Japan's most beloved deities; carries staff in right hand to protect people in all six realms of rebirth; in left hand holds wish-granting jewel; shakes staff to awaken us from delusion, to help us break free of six states of rebirth and attain enlightenment; jewel bestows blessings on all who suffer; it grants wishes, pacifies desires, and brings clear understanding of Buddhist Law. 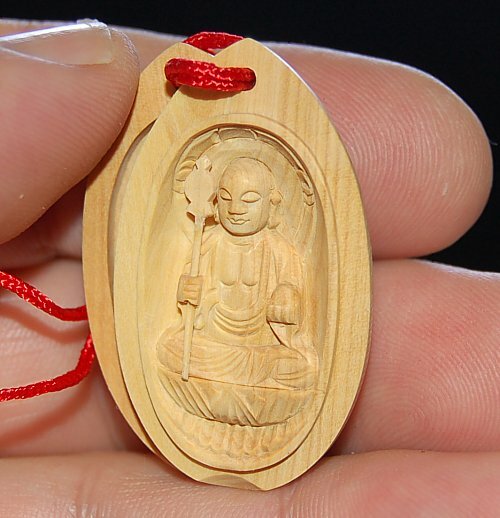 Click here to learn more about Jizo. 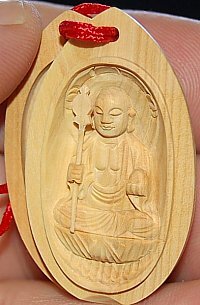 Jizo sitting on lotus holding staff and wish-granting jewel. 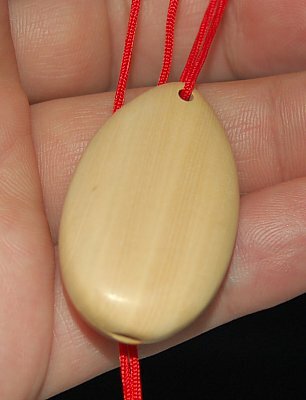 Above is example of amulet size (example deity is not Jizo). 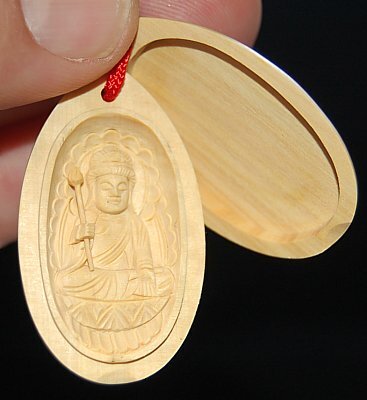 Jizo piece comes in same size and same two-piece design.